Miguel, I could listen to you sing all day long! Or as we like to say in the US, you sing “like butter”! Smooth, warm, with rich low notes, impressive high notes, a voice to make others jealous. At first, your imitation of Elton John’s pronunciation was so spot-on, I HAD to research your nationality. Portugal. Wow. But I did notice a couple of giveaways later in the song and thought I’d pass them on. In English, (both American and British) , on the sound “d”, we put the tip of the tongue on the ridge just behind the front teeth while in Spanish, Portuguese and Russian, the tip of the tongue is against the teeth, making the “d” more forward. Also, your “r” sound, which in Irish and American dialects has a retracted tongue tip (pulled backwards), in your case, you could retract the tongue less, more like the Brits say it. See how deep I have to dig to find something instructional to say?! You’re a simply fabulous singer. I choose Miguel Pires to move forward as a finalist in the VoiceCouncil Singing competition because of the beauty of his voice, his stylistic versatility, and his warm, inviting presence. My name is Miguel Pires and I’m a Portuguese singer. I’m 40 years old and have been singing professionally for 19 years. 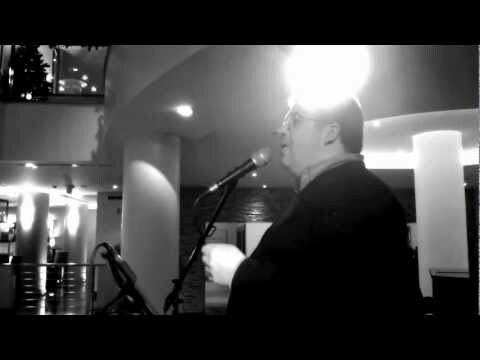 I currently sing in Casino da Madeira with my quartet (Miguel Pires & The Bubblers) and in the bar and hotels scene with my trio (Miguel Pires Trio). I also do solo gigs, like the one where this video was made. This singer was a finalist in our competition which ended on January 15th 2016. Miguel, você canta muito bem!!! Escolheu a música certa!!! Está no caminho certo!!! Grande abraço!! !